The overall stability and health of your building depends on the basement. A dry, moisture-free and well-maintained building not only provides a healthy living environment, it also results in price appreciation. On the other hand, if a basement encounters problems in the form of mold, moisture and musty air, these issues poorly affect the living environment and structural strength of the building. Any kind of seepage and water logging affect the foundation of the building. Therefore, it’s very important to keep the basement moisture-free. 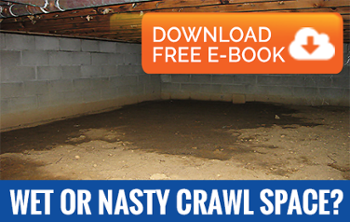 Solving wet-basement problems should be your top priority if you really want to protect the stability and value of your building. If the problem is not addressed, it can ruin the floors and walls of your building. The problem can be addressed in many ways — such as waterproofing the walls, pumping out water, installing a curtain drain, and restoring the crown. Our approach is to identify the root cause of wetness and take proper action accordingly. If you are reading this article, it clearly shows that you are facing the problem of basement moisture or mold. If that is the case, AdvantaClean of Dallas/Mid Cities should be your natural choice in the North Dallas area. We are an experienced and skilled service provider having specialization in all types of services like basement waterproofing, seepage protection, and water logging. Our high-quality service will help you get rid of your problem permanently.